A Commercial Driver’s License (CDL) is required to work as a commercial truck driver in Massachusetts. To be eligible for a CDL license, one must be at least 18 years old for an instate license, and 21 years old to have an interstate CDL. These documents must be provided along with a completed application at any full service RMV office at least 2 hours before the closing time to take the written exam. There is a standard fee of $30 for the written exam and an additional $10 for every endorsement test the applicant wishes to apply for. A Massachusetts CDL is valid for two years. When the applicant feels that he is ready to take the road test, he must schedule it by calling the RMV telephone center. Road test appointments cannot be made in person. There is a fee of $20 for this test. A license will be issued upon passing this final test. The United Tractor Trailer School, Inc. is a team comprised of dedicated individuals who make every effort to provide excellent practical training in a highly-motivated, hands-on atmosphere. This school has developed a reputation for excellent, practical training that has created many leaders in the industry. 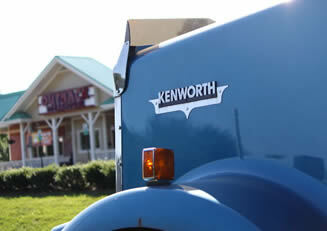 It offers full-time and part-time Class A and B CDL training programs. To better accommodate the students’ schedules, these classes may be taken day or night. For over 45 years, the New England Tractor Trailer Training School (NETTTS) has been providing Class A and Class B CDL training programs. 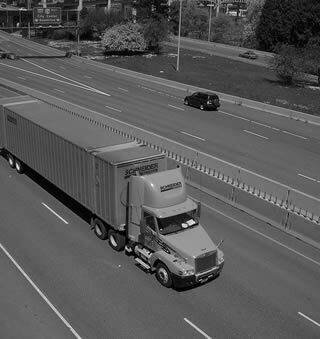 It has provided the men and women of Massachusetts, Connecticut, Rhode Island, and New Hampshire with career training for the Commercial Truck Driving industry. Through a good combination of classroom instructions and field training, NETTTS’s mission is to provide its students with the comprehensive career training that will help them develop the skills essential to succeed in this line of work. You can use the contact form located here to submit additional commercial truck driving schools for inclusion on this page. When you make a submission, please be specific and include the name of the school, phone number and its address. To get a CDL or commercial driver’s license in Massachusetts, you will have to comply with several requirements first including your age. You also have to be physically and mentally fit in order to apply for a commercial license. Truck driving is one of the types of jobs in the Unites States which allows great flexibility and great income opportunities even for the recent workers. It is therefore an attractive option for those who can wants this type of work setup. The first requirement that you need to pass in order to get a CDL is the age requirement. The minimum age allowed is 18 years old, for those who will be driving intrastate, and 21 years old for those who will be driving interstate. You should be at least at these ages during the time of the application in order to be eligible. Aside from this, you also have to comply with other state and federal requirements as well. They include a current driver’s license and a clean driving record. You should not possess any driving convictions for serious traffic offenses or for some serious crimes. You also have to be mentally stable and capable of handling the job. The next thing that you have to comply with is the written exam. It covers general information about driving skills and road signs. You have to pass this test in order to obtain the temporary CDL permit that you will use to practice actual driving. To apply for the test, you have to submit a DOT medical form filled out by a DOT approved medical professional, a visual exam, birth certificate, ID showing photo and signature, social security card or number, current driver’s license, and you also have to pay for the test fees. Once you pass this test, you will be issued a truck driving permit which is valid for two years. During this period, you will be allowed to drive a commercial vehicle provided that you are with an individual with a truck driver’s license. You will then be able to practice driving so make the most out of it. Learn the basic skills of maneuvering the car in various traffic conditions and terrains in order to prepare well for the actual road test. You have to schedule your exam prior to the road test by visiting your local RMV. The application should be submitted before the permit expires. Once you are ready for the actual test, schedule your exam and pay the corresponding fees. The evaluator will then take you on three stages of the exam namely: pre-trip inspection, basic driving skills, and road test. You need to pass all of these tests successfully in order to gain a CDL in Massachusetts. It will be valid for a few years and you will need to renew it before the expiration date. The medical certification on the other hand, will need to be renewed every two years as required by federal laws. Acquiring a commercial driving license can take months but it will be worth it in the end when you get that high paying job. On this page you can find a directory of all of the current truck driving schools in MA providing training to help pass the exams. Phone Center is open M-F from 9:00 AM until 5:00 PM except holidays.